Companies wishing to compete successfully in the clinical diagnostics market must first gain a deep understanding of key stakeholders and the needs of the market that they plan to serve. Succeeding in the clinical diagnostics business requires technological leadership and products that are founded upon a clear understanding of the unmet medical, user and market needs. Companies that compete primarily with new technological advances or rapid technology life cycles can expend considerable resources without achieving sustainable growth. The basis for competition in clinical diagnostics transcends the development of new technologies, requiring core competencies in product and market development driven by a thorough assessment of needs. 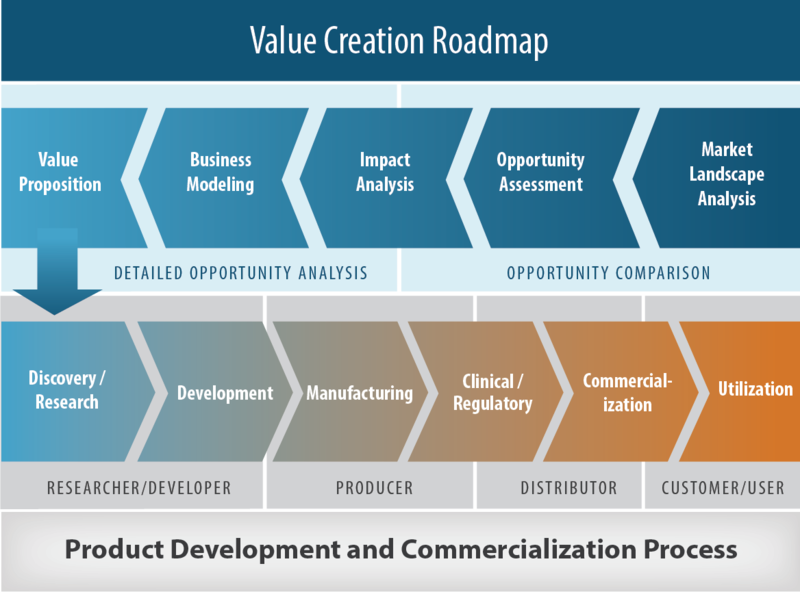 Technology companies are structured to pursue traditional “Left-to-Right” product development programs, intended to navigate the company through the development process from research to commercialization. This technology-driven approach is insufficient for today’s diagnostics market. Start with the end game in mind (i.e., “Right-to-Left” thinking) to drive more efficient use of company resources and better ensure the timely and efficient development of the right product for the right market. Developing competence in the assessment of needs requires significant resource commitments, often paralleling those required for basic technology development. Understanding how the product will be used, who will use it, how it will be delivered to the customer, the environment in which it will be used, how it will be paid for and by whom, how medical practice will change due to the use of the product, and who will benefit from the product, are all part of understanding these needs. Organizations who learn to ask “what are the unmet needs and how will our proposed product solution address those needs” will find increased market acceptance and success. Often this approach means augmenting project teams from the earliest stages with team members possessing deep customer and market knowledge to provide appropriate product design inputs. Halteres Associates helps clients to gain a thorough understanding of the unmet needs faced by their target customers in diverse market segments around the world and how the company’s technologies and product solutions might be delivered to best meet those needs.